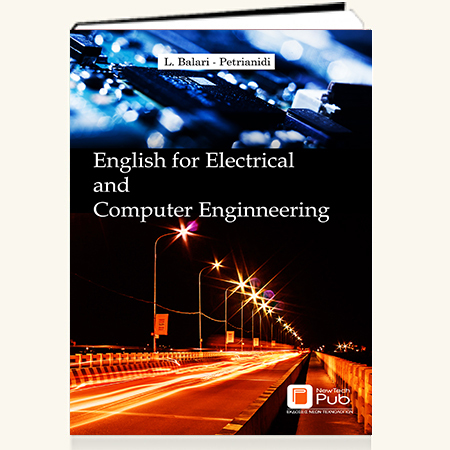 The textbook English for Electrical and Computer Enginneering is primarily intended for students of Electrical Engineering and it represents a valuable resource for an ESP course. It explores various aspects of language expression that is manifested in spoken and written electrical engineering discourses. It focuses on broad range of electrical engineering topics taken from reliable resources. It is geared towards expanding the students’ vocabulary thereby developing both their receptive and productive skills. More precisely, the textbook comprises twenty three carefully selected main texts some of which are accompanied by additional reading material. The pertinent thematic context appropriately motivates students to engage in professional discussions and express their views and ideas on a range of different electrical engineering topics while the engaging tasks accompanying the texts trigger the curiosity of potential readers prompting them to further delve into the subject of English electrical engineering discourse.